It's rewarding when the good service you felt you had provided is confirmed with positive feedback from people. Below is a selection of testimonials from just some of our happy clients. "Would recommend Carvers if you are looking to sell. Lewis was very helpful regularly updating me on the interest and feedback from viewings and explained all the processes expertly. 02.03.19"
"After struggling to sell for over 4 months with a different estate agent.... it was time to call James Carver and his Darlington team. WOW! Under offer within a week and sold above the asking price. Could not have been more professional and helpful from start to finish. Carver Residential knocked it out of the park! 01.03.19"
"Sonia, Thank you so much for all of your help and support over the last few months. You really went above and beyond and we really appreciate it. 25.02.19"
"Absolutely first class service from all the team at Carvers and I would not hesitate in recommending them. Communication was excellent; Mike or David always let us know when there was to be a viewing, even though the property was empty. Sue at the Sale Progression office was also very helpful, efficient and professional. The best estate agent experience we have ever had. Thank you very much for everything. 24.02.19"
"The family of my father-in-law would like to thank David and Mike of Nick Carver Northallerton for their help in marketing and eventually selling my father-in-law’s family home. Their expert knowledge of the area and the housing market has been invaluable. They were both so approachable and helpful and sympathetic to the family’s circumstances. Thank you!" "Hi Michael, just a line to thank you all at Carver, with the help of the sale of Crosby Rd. I hope you all have a very happy Christmas, and l will be in touch regarding another property sale in Northallerton sometime in the new year. 21.12.18"
"The sale of my property proved to be one of the most stressful and difficult time of my life. Val and her negotiating skills along with being a sound board for me being able to vent my frustration and upset proved to be the best anyone could wish for. Sonia and Sue picking up things at the beginning of this journey were professional and friendly which proved a great combination of getting a buyer for my property. Thank you. 30.10.18"
"Quick trouble free sale of two properties Pleasure to deal with this friendly professional team can’t recommend highly enough. 14.11.18"
"I just wanted to say a few words about the consistently good service experienced recently when selling our property. Vikky in the office in Richmond was excellent with all the appointments she organized & always provided feedback,which was extremely helpful. Also a big thank you to James Carver who professionally handled all negotiations making the process relatively straightforward. I would have no hesitation recommending Carvers as the service provided was excellent. J M Overfield 01.11.18"
"I couldn’t have asked for a better service. Due to problems at my buyers end, it meant that my property ended up taking longer than it should have. But I was constantly reassured that everything would be okay. My house was marketed superbly and I was informed step by step throughout the whole process. I cannot thank the whole team enough and would without doubt recommend there service to others. 30.10.18"
"I much appreciate Henry Carver's remarkable talent with the photos and text of the presentation you provided me. I am so grateful for his fine abilities and hard work towards selling my house. " "Thanks to the service provided by Sonia and Val at Carvers we were able to sell our house quickly and easily. The team was professional, helpful and efficient and their customer care was first class. I would recommend them highly to anyone looking to sell their property." "A big thank you to the team at Carver in Newton Aycliffe, with particular thanks to Michelle who mixed professionalism with warmth alongside excellent service. She went the extra mile to sell the house, which made all the difference." "We would like to thank James and Vikki at the Richmond office for the extremely professional and friendly manner in which they successfully managed the sale of our house. James’ understanding of the local property market and Vikki’s eye for administrative detail really are to be commended. We highly recommend Carvers at Richmond...Rod & Judith Flint 5.10.18"
"I have just purchased my first home through Carvers and the service provided from the beginning has been fab. Lewis Hills involvement in the process has been absolutely amazing, he went above and beyond to advise and answer the many questions i had being a first time buyer. Credit to the team, thank you. 24.07.18"
"Brilliant service.. Personal, professional, punctual with open and clear communication. From start to finish our move was made so much easier by this service. Really appreciated, many thanks." "David Tinkler and his team have provided us with a first class service for the sale of our home. With a vast and long standing knowledge of the local property market they helped us achieve the best price we could. I can confidently say that customer service is at gold standard at Carvers as we thoroughly tested it at times. I would highly recommend Carvers to anyone. Thank you David and co, you made selling our home easy, at a very difficult time for us, with compassion and professionalism." "I would like to thank David and the team at the Newton Aycliffe branch. After accepting an offer on my house I called into the office and chatted to them about the type of property I was looking for - after explaining my requirements I realised we were definitely on 'the same page.' After a couple of weeks David contacted me about a property he was sure I'd be interested in and that was it, I viewed it and put in an offer immediately. It wasn't all plain sailing on my side but the staff were always there to smooth things over. I couldn't have had a better team of people helping me so a big thanks to David and the lovely staff from Newton Aycliffe"
"The sale of my property in Newton Aycliffe has been handled very efficiently by my local Nick Carver branch, in particular by Hilary Harper, my house was sold in virtually one day as she contacted clients who had been on her books looking for the right house, her knowledge of the area got the right family to look and buy. Ive been kept up to date at all times with what has been going on regarding my sale and would highly recommend to anyone selling property"
"Well where do i start- i have recently sold my house with carvers residential in Newton Aycliffe and i can not thank the team enough. I had a very hectic experience due to the Solicitors and due to me also suffering with stress anyway but this estate agent got me through everything in such a proffesional and understanding manner , they were outstanding and went out of their way to keep me updated every day and at times this was in their own time via email to let me know what stage things were at. They chased Solicitors and lenders for me and rang me every step of the way. A massive thank you to David and Shelly from Newton Aycliffe Office and also Sue from the sales progession team, absolute 100% customer focused and you all went above and beyond to get me and my family through the sale even checking all was ok AFTER completion. Thank you so much"
"I can highly recommend Carvers Yarm office, Nicola and David in particular. The level of communication was brilliant, we were informed at every step by email and telephone. Nicola provided a very professional service." "Today we completed on our Mum's house in Newton Aycliffe. At the valuation stage I consulted several agents and got varied feedback regarding potential price, however we chose Carvers because David knew the local market well and genuinely seemed to care that he was dealing with our family home that had so many memories for us. His valuation was not the highest but seemed the most honest and realistic. From the outset we had a lot of interest, Ashley and Shelly were absolutely fantastic and kept us informed throughout the process, helping and advising when difficult decisions needed to be made. When the sale was agreed we used the conveyancing service recommended which also made life very easy. I highly recommend Carvers and thank you to the staff at Newton Aycliffe for making the process so efficient and painless." "Very helpful, professional estate agent. Kept me fully informed throughout the process. Would definitely recommend them. " "An excellent and professional service provided by the team at the Newton Aycliffe branch. A special thank you to David and Shelly for going above and beyond whilst handling a difficult situation. They were extremely knowledgeable, trustworthy and honest. Their sensitivity, guidance and support throughout the whole process was hugely valuable and greatly appreciated. I would highly recommend. Thank you." "Great service from Carver's from start to finish. " "Thank you Carvers for the recent sale of a property for me. You have been excellent in every way, very efficient, and most definitely professional in every instance. You kept in touch with every move during the process of the sale both by telephone and e/mail. You took complete control from day one. Your staff where so helpful and pleasant at all times. The process took a great deal of pressure off my self, and I would definitely recommend yourselves to anyone selling a property and requiring peace of mind that the process will carried out with total organisation. " "More than happy with this service. James and Vikki are brilliant. From the beginning of the removal process to the end we were kept extremely well informed and felt guided and supported throughout. We felt very confident that matters would be dealt with efficiently, effectively and professionally with just the right dash of friendliness too. Even though we have now moved, we really appreciated the follow up call from James to see if we are settling in and the invaluable help from Vikki over an issue with our mail redirection problems. We have already recommended your service to quite a few people and will continue to do so. Thank you again. " "I can’t speak highly enough of Carver’s, Richmond. Right from the start, James offered clear, accurate and supportive advice how to best market and sell my property and Vicky in the office has been fantastic too; knowledgeable, friendly and helpful. No wonder my house sold in a few weeks. Thank you so much, Carver’s! I made an excellent choice coming to you. " "The Carver Group - exceptional service, exceptional costings, exceptional personnel - the number one agent for selling properties in the West End of Darlington. " "I would like to take this opportunity to thank you, Val, and all those involved with the purchase of the property. It has been a pleasure. " "A BIG THANK YOU to all of your team for selling our home; everyone kept us informed and was always polite. A special Thank You to Val. What a great person, nothing was too much trouble - she was a person who made me laugh and helped with all the stress.Thank you Val, keep up the good work "
"Thank you very much, Sonia, for managing the sale of our property. We appreciate your time and professional approach." "Hi Sue, Just a short note to thank you for your patience and dedication assisting in the sale of the cottage I know from previous sales of properties with other agents you exceeded well above the norm and I can't thank you enough for your patience and humour Wishing you and all your colleagues a successful year "
"Very pleased with my dealings with all the Carver staff. My house was sold quickly but in a lengthy negotiating process due to no fault of any of the parties I was always reassured by a quick call to Sue that all was proceeding satisfactorily. Shall not hesitate to recommend you to my friends, indeed I have already done so. " "I couldn’t recommend this estate agents enough, they have been so helpful and professional dealing with the sale of my house. They have been great at communicating every stage of the house sale and put my mind at ease. Thank you so much for a pleasant sale. " "Suzanne, thanks to you and Val for your help during our purchase, which was a bit tough on the nerves at the most important times, exchange and completion, through no fault of yours. Your assistance was very much appreciated. " 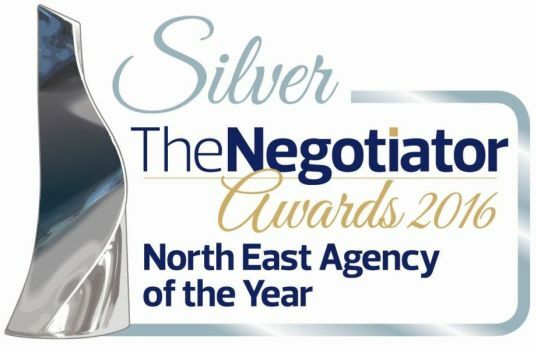 "The service offered by the Northallerton office was first class. The staff where always helpful and kept us fully informed. It was a pleasure to do business with them. " "I am extremely happy with the service that James, Vikki and Trish have provided. Very professional, knowledgeable, friendly service provided by the Richmond team. Also thanks to Suzanne for her constant updates throughout the sale. Thank you to you all. Your professionalism was greatly appreciated. I would definitely recommend Carvers to my friends who are looking for an estate agent. " "Thank you to the all the team in Yarm who helped us secure the property we have been looking for in the area. All your advice and guidance was invaluable and ensured the purchase went through extremely smoothly. We would highly recommend them! " "Thank you to Sonia Walton and her team for the excellent job they did in selling my mother in laws house.Very professional in everything they did and a particular mention of Suzanne who's communications were second to none.No hesitation in recommending them to others.Thank you again. " "Thanks you for the excellent service from all staff from the beginning to the end. " "Excellent service from the two Davids at Yarm branch Extremely friendly and professional. Would have no hesitation recommending to friends and family. 8.6.17"
"A fantastic service from valuation to sale. 22.5.17"
"Great service from viewing the property at the start of the process to collecting the keys on completion day. Nothing but professionalism from the 2 Dave's in the Yarm office. Thanks Gents." "David Smith and Val Cheesebrough are so professional thanks so much I will definitely recommend you to anyone. 2.5.17"
"I would like to thank the whole team at Carver's for their excellent service. Very friendly but most professional. Thanks again Carol Penman 02.05.17"
"You are doing great, professional and prompt with feed back and following up. Great at keeping us informed and easy to deal with, cant fault you guys so far." "Outstanding service David Smith ! 24/4/17"
"None better would use again and recommend your company to anyone selling a property 14.4.17"
"First class service from carvers.Always on hand to guide us through our very quick sale ( 1 DAY ) They even helped us with our purchase that was for sale with a different agent. Professional throughout,the whole process took under 6 weeks.Highly recommended. 16.4.17"
"I would like to express my sincere gratitude to a lady called Faye Priestley from the Darlington office. In what was a basic phone enquiry, Faye went above and beyond the call of duty in terms of understanding my personal situation and trying to help. I was immediately struck by her very personal approach. She left a lasting impression and is a credit to your organisation. Many many thanks 30.3.17"
"I wanted to say your team are certainly the most responsive around - I've looked at many properties over the past few months and you guys are by far the most reactive and informative. 28.03.17"
"Staff extremely friendly and helpful, I would certainly recommend Carver estate agents, to colleagues, friends and family. 28.03.17"
"Your service has been excellent Every member of you team was helpful and engaged in the process of selling my property for the best price possible I was delighted with the advice that David gave to me and he priced the house to sell which it did. I thought the fact that's staff visited my house so that they could talk about it was fantastic Nick Carver met and exceeded my expectations Many thanks to everyone involved 28.03.17"
"Thank you to Trish, Vikki and Sue for their patience and understanding during the sale of 20 Oakfields. 8.3.17"
"Fabulous, helpful and supportive throughout the process of selling our home, many thanks to the whole team 3.4.17"
"Amazing from start to finish 20.3.17"
"Just to say a huge thank you to all at Carvers in Richmond - Trish Henderson especially and Darlington. You kept us informed and up to date and would recommend anyone employing Carvers for their house sale/purchase. 8.3.17"
"Very happy with the service provided by Carvers, very professional and friendly. 15.3.17"
"Very grateful to everyone at Nick and Gordon Carver for their care and thoughtfulness in handling our sale and assisting in purchase negotiations. We would use you again. 16.3.17"
"Sue and I would like to express our appreciation of your staff as follows: Richmomd Office, Vikki and Trish for their cheerful and professional work in marketing !8 New Road, Richmond. They kept us informed throughout and we were delighted that they sold the property in December which must be the most difficult month. Sales Progression Department. Val took over when the property was sold and was always pro-active in maintaining contact with the purchaser and both solicitors particularly when the exchange was delayed. She was always positive and cheerful and kept us up to date with developments. Many thanks Sue and Peter Hartley 20.3.17"
"The service I received from the staff at Carver's was excellent. The information offered when deciding what price to market the property was realistic and honest. It has been a pleasure working with them and I have appreciated their professionalism throughout the process of selling the property. 6.3.17"
"Good service and very quick sale. 6.3.17"
"Dear Sonia and all the sales team! Well done and thanks for your help. Kindest Regards, John 6.3.17"
"Who better than Carvers for selling a property? All the team are fab & Suzanne was very helpful during the sales process! Looking forward to working with them next time! 24.02.17"
"Thank you to Trish,Vicki and James for all your help support and great service in what was at times a difficult sale your enthusiasm always shone through. 24.02.17"
"Our heartiest thanks to David Buckle, without whose help we would not have got anywhere. Really appreciate all his efforts and hard work he put in to sell our house and for keeping our hopes up when the first sale fell through. His advice and guidance throughout the process especially during very difficult decisions we faced in the process was greatly appreciated. He was thoroughly professional, knowledgable and friendly. People like David are credit to their profession. Raj/Kapu 24.02.17"
"I would like to recommend and congratulate david tinkler and the newton aycliffe office, for sourcing buy to let properties for our investors. David and the team have helped us on a number of occasions with advising and sourcing the best areas with the best rental yields. If you are thinking about buying your first buy to let property or increasing your current portfolio, make sure you contact them first for some advice! keep up the good work guys! Ben Quaintrell, Director - My Property Box 22.2.17"
"Just wanted to say thank you to David Buckle and David Smith from the Yarm branch for all their help and assistance with our recent purchase. Both very helpful and friendly and made what was a stressful process all the more easier. Thank you. 22.2.17"
"We recently sold our property through Carvers' Richmond Office and they were superb from start to finish. Trish in particular was a voice of calm and both she and Vicky were totally professional throughout leaving both us and our buyers delighted with the process. We will certainly be selling our next property through them too. 22.2.17"
"We feel that the service we received can only be described as exemplary. Carol arranged everything in a timely manner and nothing was an issue to her. Dawn! Where do I start? This lady has kept my sanity through buying a respossession, she has been there through it all and constantly went way beyond her remit, dealing with other professionals and advocating on our behalf, I miss our daily phone calls! Thank you just isn't enough to repay your kindness! 22.2.17"
"We bought a Darlington bungalow through Carver, and, from the outset, we just had the feeling that we were in exceptionally good hands. If the purchase had fallen through for any reason, we would, in seeking to start again, have given preference to properties on Carver's books. If only my house sale had been within Carver's area! 15.2.17"
"Mortgage Advice Bureau made organising our mortgage and life insurance straight forward and an easy experience. Both Carol and Dawn were extremely efficient and helpful and made the process painless for us. We were very impressed with the standard of service and would have no hesitation in recommending MAB to our friends and family. Carol is the most efficient mortgage advisor I have ever dealt with. 15.2.17"
"Dear James, I would like to thank you and all your staff for the supportive and efficient way you have dealt with the selling of my house. It has all been much appreciated. Please pass on my thanks to all your staff. I wish you all the very best of futures. 03.02.17"
"I frequently recommend N&G Carver to family/friends due to the excellent experience we have had with them both this year and in the past. 01.17 "
"Everyone involved from the valuation, marketing, viewing to the sale were efficient, professional and friendly, inspiring confidence. 01.17"
"Without a shadow of doubt Carvers at Northallerton stand out amongst the rest. Julie Forster and Faye Priestley went above and beyond the call of duty. 01.17"
"The pre-sales relationship at Yarm was both friendly and practical. Val, who handled the post sales and completion was exceptionally good. 01.17"
"Fantastic service all round . Sonia Walton was very professional and very helpful throughout the sale. Also Val in sales progression. 01.17"
"All members of staff were knowledgeable, enthusiastic and a pleasure to deal with. I highly recommend Carvers. 01.17"
"Val and Dave from the Darlington/Aycliffe office were really helpful and have made the process as stress free as possible. 01.17"
"Overall a pleasant transaction. Prompt reply to an questions and very polite. 01.17"
"Carvers were constantly in touch with houses to view even though they weren't handling the sale of our own property. Excellent communication. 01.17"
"Hi Sonia When we decided to sell our house we decided to get 3 valuations from local agents one of which was you. After which we had absolutely no doubt that we wished to put our house on the market with you/Carvers. You were punctual, professional, obviously knew the market,as well as researching the property prior to our meeting. Also, you happened to be the only one who was confident about your valuation as opposed to the 'lets try this price and you may get a bit more if you are lucky' approach. We sold our house within the 1st week to the first couple who came to see it. Very impressed from start to finish and would be happy to recommend you to family and friends. I hope Carvers appreciate the difference you make to their business. All the best Jim & Maggie 19.1.17"
"We were very professionally looked after and advised from first putting our house on the market to completion. Our calls were responded to promptly and the sale of the house went through smoothly. Thank you from a very satisfied customer. 15.12.2016"
"Very happy with the service from start to finish. All the sales team were very friendly and helpful and Sonia was brilliant. 20.12.16"
"I would like to thank the team at Carver Estate Agents in the Darlington office for their very helpful and professional approach during what can only be described as a very stressful episode in the attempt to sell an inherited property 250 miles distant from my home in the South which was proving to be very problematic. In particular I would like to praise Sonia Walton for restoring my faith in the delicate process of sales and marketing of which she has excellent skills combined with a kind and caring manner which is rare these days. I would recommend anyone preparing to enter the scary world of property sales to sign up with Carvers as you can depend on really good service all round. 8.12.16"
"I would just like to say a big thank you to all at Carvers, particularly Sonia and Sue with whom I had the most dealings. The service I received was excellent and I would definitely recommend to friends and family. 7.12.16"
"Great service quick response to phone enquiries and emails, just need to sell the property 6.12.16	"
"Many thanks to the whole team at Carver's - an excellent service from start to finish. Particular mention to Sue Atkinson in Sales Progression, plus Trish Henderson and Vikki Breslin in the Richmond sales office for their care, professionalism and good humour, helping me sell my childhood home. Throughout, they have all been a pleasure to deal with, made the process straightforward, and took the stress out of the whole thing. They had good ideas to keep the momentum of the sale going forward, and took the trouble to know my life, to ensure the best way of communicating with me and keep me up-to-date with everything. 5.12.16"
"Please can you send my thanks and appreciation to Sonia and the rest of the team after the successful completion of my sale of 12 Throstlenest Avenue. Sonia was excellent in her appraisal of the property assisting in achieving the asking price within days of the property being put up for sale. The team were always helpful and kept me informed throughout the process Many thanks Andy Coward. 30.11.16"
"We have just sold our house and bought our onwards home with Carvers. I honestly could not be happier with the service provided. Great valuation, good feedback, excellent help from Alison when finding our new home, and a wonderful source of advice/counselling(!) from Sue in Sales Progression. Thank you to all the team, I would recommend you to anyone. 29.11.2016"
"Hi Henry, my house is now showing as sold stc and I wanted to thank you very much for the brilliant job you did. And the ladies in the office since then. Thank you so much for your help, hope to see you both soon, Helen and George. 29.11.16"
"I would just like to express my thanks to the team at Aycliffe Carvers for all their help with the selling of my property. From the start I was given professional guidance from David on the valuation , then Shelly & Ashley kept me updated at every stage and went on to successfully secure the sale , which I just recently completed on ! I would (and have highly recommended the whole team), time and time again . They helped make the whole process stress free for me , and I am now so happy to be in my new home . Thanks again . Kevin Lee 29.11.2016"
"I can't thank Carvers enough. Having seen a property we loved but not having sold out own to offer we thought it was an impossible task. Thanks to the hard work by Faye and Julie in the Northallerton branch we sold in a week and 14 weeks later we are in our new house. Would certainly recommend Carvers. Suzanne who supported us during our conveyancing was also brilliant keeping us up to date and speeding up the process when she could. Thank you to you all. 28.11.2016"
"Delighted with the way Carver Residential marketed our property. Really impressed with the very positive first meeting with Sonia Walton and with all the team at Carvers, thank you again for selling our house in 5 weeks. This has enabled us to secure the property that we wanted, thank you again. Kevin & Evelyn Shaw 28.11.2016"
"I bought a property from the Yarm office and dealt with David smith and Jenna in the branch. I have to say they have both been very helpful in showing me the property and giving me ideas what to do. Even after the sale Jenna has been helping me with small little things (parking permit etc) Once I bought the property I was handed over to Val and again have to say her help dealing with this sale was fantastic. I would highly recommend Carvers to anyone looking to buy or sell a property. 24.11.2016"
"Fast professional service. Easy to deal with. Would recommend to others 15.11.2016"
"David Smith at Yarm was our initial contact. He and the rest of the Yarm office were always helpful and worked well on our behalf. Val in Sales progression kept us informed of developments. 09.11.2016"
"Having used Carver's on our first house purchase 4 years ago, we had no hesitation in using their services again when we decided to upgrade from a 2 to a 3 bed. We were not disappointed. We secured a good price on the sale of our house, felt supported throughout the whole process and have now just completed. We also found our current house using Carver in spite of looking at many different agents in the area. A very professional company that looks after you throughout. Kind regards, Happy customer 07.11.2016"
"A big massive thank you to Julie and Faye for all their hard work and entertainment and Julies amazing laugh over the telephone. Even though it cost me a small fortune in hot sausage rolls on a Saturday morning when Julie was working and the same in Star Bars when Faye was working. It was more than worth it. Both Julie and Faye are a total asset to your Company. The pair of them are total stars. 2.11.2016"
"Dear Gordon, I should like to express my thanks for the efficient handling of the sale of my house in Linwood Grove, and the "last minute" acquisition of my new home in Neasham. The manner in which David Buckle co-ordinated and handled the sale and purchase were much appreciated. It does require someone with David's personaility and disposition to manage such a delicate task. I was also delighted to hear that you and your staff successfully completed the "3 Peaks" challenge within the allocated time!! Many thanks for your help. 6.9.16"
"I highly rate the Carver's team: their customer service is outstanding. From my very first enquiry to completing the sale of a much loved family home they provided clear information, professional service, and good humoured advice. They were highly knowledgeable about the local housing market and extremely proactive in their promotion of the property; prospective buyers were well qualified, with no time-wasters. Another plus was their availability: Saturday opening and additional office cover via the Darlington branch was a real bonus. James, Trish and David were friendly, positive and delivered what they promised. 29.10.2016"
"The service was excellent, guilding us through the whole process. This was partially helpful since I was selling a house on my dads behalf and didn't live in the area. Their service is very personable with week by week updates on the phone. 28.10.2016"
"Carvers in Newton Aycliffe were recommended to us & we found their service very good form start to finish. The communication especially was really helpful as we were remote from the area & unable to pop in to the office easily. Even at the end when there was a hitch, Carvers kept us informed so we were able to take action . More than happy to recommend for others to use Carvers services. 28.10.2016"
"An Enormous THANK YOU to James Trish and Vikki for your excellent work in marketing and selling my mother's property. From my instructions to sell on 12th September to completion of purchase exactly ONE MONTH later - Amazing - and the sale itself actually only taking 2 weeks !!! I highly recommend your services - Friendly, efficient and professional throughout thank you again 24.10.2016"
"Long driven due to chain, but excellent service from one and all (especially Sue Atkinson and David Buckle who dealt with our sale and purchase) Excellent communication & always contactable! 24.10.2016"
"Dear Julie, James and Team, A big thank you for your wonderful services. You are absolutely amazing. Special thanks to Julie for making/keeping us cheerful all the time. Thanking you from Matthew and Jolly. 24.10.2016"
"To all the staff at Northallerton I would like to say a big thank you for all the help and guidance you have given and the odd 'therapy session'. It has been a pleasure to deal with you and I would have no hesitation in recommending Carvers and would certainly come back in future if I need your assistance. All the best, Ruth. 24.10.2016"
"David in the Yarm office has been outstanding. He promised us a certain level of service and delivered, what more can you ask for? 17.10.2016"
"I would just like to thank the whole team at carvers for there hard work! David Smith came to put the house on the market, he was very approachable, honest, and did a brilliant job with the photos! Would like to thank Trish for her hard work getting people in to view the property, then lastly I would like to thank sue and val from the sales team, who put up with my constant phone calls, they were very helpful and and the ball moving things along as quickly as they could!! Thank you all 12.10.2016"
"We received excellent customer service from our initial valuation with Henry through to completion with Val and with everyone else we encountered in between. It was reassuring to be guided through process. Thank you. 04.10.2016"
"We have both been so pleased going through the process of selling our home with Nick & Gordon Carver Residential. From the starting point of the valuation to the completion of the sale, everything has run smoothly and we've experienced no problems at all. So, thankyou to all members of the Darlington & Newton Aycliffe branches, you've made the stressful process of moving home very easy indeed! 03.10.2016"
"Everything ran smoothly from beginning to end thank you. 03.10.2016"
"So pleased, we have left a bottle of champers and tin of chocolate biscuits at the Darlington office. Val is going to raffle between the staff. 02.10.2016"
"Thanks to James and Trish in the Richmond office. Trish has been a constant source of amusement. I found her very affable, professional and with a warm customer approach. She made me feel that the sale of my house was of paramount importance to her. It was a pleasure in every aspect working with Carvers and I would certainly recommend them to my friends. 30.09.2016"
"We received excellent service from Carvers for the sale of our property in Catterick Village. Trish Henderson in the Richmond Office kept us informed at all times of the progress with our viewings and was always pleasant when talking to us. We could not fault the service from Trish. Sue Atkinson in Darlington Office gave excellent support in dealing with our buyer during a very difficult period and was very "pro-active". Overall a good service from Carvers. BD 30.09.2016"
"I would highly recommend Carvers to anyone wanting to sell their house. Trish at the Richmond branch (and Angie, when she was there) were amazing. I had a long journey, made much less stressful by their friendly professional approach. They really worked tirelessly on my behalf. I shall always be grateful to Trish who genuinely cared and is a great asset to the Company 30.09.2016"
"I would just like to say a big thank you to Trish, Tina and all the lovely team at Carvers, and the help and support I received while buying the property on Mallard Road. Thanks for being so patient with me during the viewings, phone calls and various glitches along the way! Thank you everyone, you have all been great ! 30.09.2016"
"Many thanks to all at Carvers for the sale of Sunny Ville. Val, David and Trish were very helpful in all our dealings with them. We would certainly use Carvers again. Many thanks. 30.09.2016"
"Just a note to thank you sincerely for the excellent advice you gave us on the valuation of Eastwood, Sandy Bank, Northallerton. We are just now settling in at our new address in York, benefiting from the additional £10-15k we achieved as a result of your guidance. We would recommend your services to anyone. Yours Sincerely, Alan Underwood. 14.09.2016"
"Thank you so much everyone who has guided me through the process of selling our house and purchasing our bungalow from Henry to Val, and everyone in between. Totally professional from start to finish - You have kept me sane - god bless you all 12.09.2016"
"A big thank you to all the team at Carvers in helping us to buy our first home. We have to give a special mention and thanks to Val who has been an absolute star in pushing things along and keeping it all together. She has been amazing in guiding us through the process and getting us to today when we collected our keys. Thank You Val 09.09.2016"
"I would like to pass on our thanks to Julie, Cherise and Faye for their professionalism, patience, and humour when dealing with the sale of my property. Without their support and understanding we would have found the process much more difficult and I would certainly recommend the Carvers Northallerton branch to anyone wishing to move house. The team in Northallerton are a credit to the organisation and were we to move again we wouldn't hesitate to return. Thank you. 7.09.2016"
"I just wanted to thank Carvers for their help and support in selling two houses for me recently. I had great support from the girls in the office whilst the properties were on the market in particular Claire Sowerby and then Val Cheeseborough was fantastic seeing the property through to completion. Thank you to you all. 04.09.2016"
"Very happy with the service we received from all the staff. Helpful and stress free Thank you 3.09.2016"
"I recently sold my house through Carvers. The staff were most helpful during the sales process and Val Cheesebrough was particularly supportive during the post-sale process. My reason for writing this however is to say how impressed I was with the help offered by Emma Wright. My house had been on the market for over two years with another estate agent and for a year with yourselves. I was reaching a point where despondency was setting in and I was losing confidence that I would find a buyer. I visited the Duke Street office to discuss this and Emma offered to come out, view my house and see if she could offer any practical advice. her suggestions and ideas for improving the appearance of the house were brilliant and a sale followed shortly afterwards. Emma was enthusiastic, pro-active and extremely professional and I would be grateful if you could personally pass on my thanks to her as I believe her extra effort deserves to be brought o your attention. She is a credit to your company. 2.09.2016"
"From first contacting David Smith, I found the whole experience of selling by auction through yourselves to be first class. Everything has gone very smoothly from start to finish and within the expected time scale. I would not hesitate in recommending your company to friends if they were thinking of selling their property. 02.09.2016"
"I was very happy with the service I received from David Smith in Yarm and his staff. He was incredibly enthusiastic, prompt at giving feedback and keeping me informed on the viewings at all times. His advise was fair and impartial. I would definitely recommend him for sales in the Yarm Stockton area. 1.09.2016"
"Fantastic service helping us to find a home. Clare Sowerby was brilliant helping us find a property and Suzanne Carver was such a great help with our sales progression 30.08.2016 "
"Joshua Coe was a fantastic support and provided clear and understandable guidance. As a first time buyer, I was quite baffled by the process but Josh explained it all and answered any questions I had, (even silly ones!). Thank you! 24.08.16"
"Cherise was fantastic! I had been to two banks and neither could help me but Cherise managed to sort it all within an hour. She is helpful, thorough and all round good! I will certainly recommend her to all my friends and family. 18.08.16"
"I am so grateful to Cherise for all her hard work... patience and professionalism during the mortgage and remortgage process. She is truly a lovely lady and I would highly recommend her to anyone. She made the whole process run smoothly and went out of her way to help myself and my father. Very appreciated and we as a family will always use and recommend Cherise. A big thank you again! 18.08.16"
"We are very happy with the service we have received so far, we have found the staff very helpful, nothing is too much of a problem from arranging viewings to just popping into the office for a quick chat etc. We are really pleased to say that after being up for sale just under 4 weeks there's now a 'sold' sign outside our house! 08.08.16"
"I’d like to thank all at Carvers for the friendly, professional service and help given in selling my property. From the initial valuation through to the handing over of the keys to the new owner, the service and communication was excellent. Moving home is often a traumatic time but I have no hesitation in recommending Carvers as they appear to go out of their way to try and give you a trouble free experience. Many thanks. 08.08.2016"
"Carvers have been great from day one. My property was well advertised, they have fantastic financial advisors and I had a very awkward buyer who carvers dealt with very well. 08.08.2016"
"Wonderful service as usual! 04.08.16"
"Thank you very much for all the services that Carver's have offered. Everyone involved in a very stressful process was absolutely exceptional. David was calm, professional and knowledgeable. Shellie and Ashleigh at the Newton Aycliffe Office never faltered in their courtesy, expertise, advice and reassurance.. Once the houses were bought and sold Sue (Atkinson) also was a calm, reassuring presence who kept us informed at every stage of the process. All the team were absolutely 'top class' and we would recommend Carver's to anyone 22.07.16"
"Excellent service selling the house, always kept up to date with viewings & progress, Would not hesitate to recommend 21.07.16"
"Thank you so much for all your help and advice during my house sale. Sonia was fantastic! She was professional and empathetic to my situation. She kept me updated with every step of the process and made the experience stress free. I would highly recommend Carver's Estate Agent - everyone in the team are friendly, efficient and knowledgeable 08.07.16"
"Very happy with the service received throughout. Regular updates, great advice and friendly people to deal with. We will use Carvers again soon for our next house move. Thank you. 5.07.16"
"The service that Carvers offers is excellent. We are very grateful to Gordon Carver, Suzanne Carver & Val Cheeseborough for their professional & sympathetic help in bringing the very difficult sale to completion. We would have no hesitation in recommending them to anybody or to use them again should we need to. Many thanks. 04.07.16"
"We were kept informed and up to speed on all aspects. Well done team! 21.6.16"
"A big thank you to all the staff involved in my purchase very professional and knowledgeable about the whole process which reduced my own stress thanks again. 21.6.16"
"An efficient and friendly service from the outset. Realistic evaluation and sensible market advice, with prompt feedback. Carvers were very successful at creating interest and generating those all-important viewings. Especially so as we had been on the market previously for a long time with another agent and had very few viewings. In the end we had several viable offers on the table and achieved above the asking price. 14.6.16"
"I have been very impressed with the service I have received from Carvers. It would appear you certainly know your market and the level of communication, follow up and flow of information at every level has been first class. If only the solicitors could have showed the same level of drive and accuracy......... Many thanks 14.6.16"
"Hi Emma Can you say a HUGE thank you to Kay - Robin has been a godsend and an absolute star for beating the gardens into submission at such short notice😃 All the best Helen 14.6.16 "
"Excellent service from start to finish. 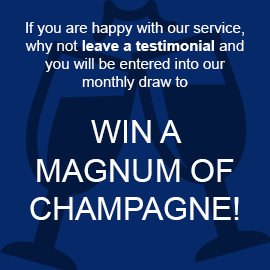 14.6.16"
"Very pleased with your overall service, especially Val, she deserves a magnum of champagne! 14.6.16"
"Having had a previous poor experience with an estate agent I was extremely impressed with Cavers. The service I received from David, Vikki and Sue was professional yet friendly, competent and highly efficient. I was kept up-to-date at all times. I have and will continue to recommend Carver to others as the service was second-to-none. Thank-you for such a positive experience. 14.6.16"
"A very good, friendly and professional service. As I do not live in the area and did not get to see property the estate agents dealt with all aspects of the sale and made the entire process easy with very little stress. David Tinkler was so very helpful and pleasant. He physically went out of his way to make sure property was secure and safe; frequently checking on the property and letting me know how all things were going, he even took the final meter readings for me. A genuine and kind man, I really do appreciate all his help. Sue in the office was so helpful and lovely to talk to. She kept me informed and offered sound advice when needed. She also should be commended. Thank you all for your help in this sale. 14.6.16"
"Hi David, Just a brief email to confirm how delighted we were regarding the service you provided to us during the processes associated with selling our home in Redworth You kept us fully up to date throughout, organised several viewings from January onwards and we can only commend your efforts in proactively marketing our property. Thanks to you the sale was concluded in May and we are now settled in to our new home. We would have no hesitation in recommending you to family and friends and indeed a family member in Hurworth has only recently placed their home with you after speaking to us. Don’t worry we won’t be asking for any commission. Once again many thanks. Kind regards, Mike and Yvonne Ryder 3.6.16"
"Hi David, Thanks for your excellent service and taking such good care of me during the sale process. All in all it was very straightforward and stress free as a result of you taking the time to work through decisions with me. Thanks and kindest regards Claire 3.6.16"
"I have been impressed with the service we have received from Carvers. Everybody I have had contact with has been helpful , reliable and professional. I would recommend Carvers and would use them again . Thank you! 27.5.16"
"We are very happy with the service. Carol Blenkinsop was extremely helpful and supportive throughout the whole process. Have already recommended to friends. 24.5.16"
"Dear Alison as a follow up from our conversation this morning, I would like to say how very professional Laura has been with our viewings. She was very supportive and highlighted all the features in the property in a positive, caring manner. We saw several properties with her and she began to understand our requirements, whilst also promoting the property your agency was selling. She always had a smile on her face and had very good knowledge about the property and recommended others we might consider, when we realised the property was unsuitable for us. It is obvious Laura is passionate about her job. 23.5.16"
"I have to say, from a buyers perspective Amy and the team have been brilliant, totally on it, informative and actually seem to go out of your way to sell the properties and I can say from all the agents I've dealt with this last six months you're honestly the only ones. A couple of people near me asked how my sale went as they are thinking of selling theirs and it's Carvers who I told them to sell with because of the above. Thanks again, sorry it wasn't one of yours I ended up getting - it's been a roller coaster journey for me with my sale and last failed purchase so once I am sorted I'm not looking to move any time soon however if I did, hands down its Carvers I would come to you to sell my property. 19.5.16 "
"After nearly a month without broadband I am finally able to record my gratitude to Suzanne Carver for her sympathetic and professional assistance on the sale of our home. At a time when a number of other life changing events seems to conspire against us, Suzanne's professional management of the sale greatly reduced the stress and strain of moving home. Thank you! 16.5.16"
"I used Carvers Newton Aycliffe for mortgage advice with Carol and also I was looking to purchase a property from someone who had used Carvers as the estate agent. Carol was fantastic and spent a lot of time with me getting the right mortgage. Thank you very much Carol if you're reading this! I was involved in a chain and the buyer of my property was struggling with a mortgage (he'd had advice from another person but was told he couldn't get one) I suggested Carol to him and she spent hours helping and looked at all the options to find a suitable solution. 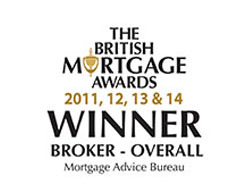 I know my buyer personally and he is extremely happy with the mortgage advice service too. My dealings with the estate agent side was mainly with David. Communication was fantastic both inside and outside of normal working hours. All queries answered promptly and I had about 4 viewings of the property, all of which David and the team were very helpful with. If I ever come to sell and need an estate agent I will consider Carvers as my first choice. An all round excellent personal and professional service. Thanks again David, Carol and the team. 13.5.16"
"We were very happy from start to finish with the service from Carver's. We would certainly recommend them! 10.5.16"
"My adviser was Carol Blenkinsop and she has been fantastic. She always kept me up to date :) Ashleigh Joyce was also great, she kept me updated and responded to any queries very quickly. 3.5.16"
"Adam Swalwell went out of his way to make our appointment not only understandable but his open, honest and extremely accommodating manner actually meant I enjoyed it too! Looking forward to seeing him again in a few years. Five star service! 29.4.16"
"I'd like to thank David Tinker for his efforts in finding my wife and I the perfect home. David listened to our requirements from day one and we felt very assured that Nick and Gordon Carver would be the estate agent off choice. David was very welcoming and had a warm personality as well communicating very well with the both of us. We would gladly recommend Nick & Gordon Carver but especially David for his hard work. Thank you. 28.4.16"
"David, Thank you so much, your help and support through this process has been phenomenal. You have kept me informed throughout every stage. I wouldn't hesitate to recommend you to anybody looking for an estate agent . All the best for the future. Kindest Regards Helen 27.4.16 "
"My wife and I would like to thank Shelly, David & Ashley in your Aycliffe Office for all of their help and support whilst selling our property. We never became despondent, because they were always on the end of the phone with another viewing if the last viewing did quite go to plan! We are now at completion day and have reached that point of handing over our keys to our buyer . We would just like to say a simple Thanks for all of your help. Stuart & Joyce 27.4.16"
""From the first initial contact with Carver Estate Agents I was very impressed! Professional telephone manner, exceptional customer service, Amy Hughes was very proactive and asked the right questions to assist us in our search, attention to detail was second to none, I've had other experiences with other estate agents and they can not touch Carver Estate Agents, there's a reason why they have an excellent reputation its simply they are outstanding at what they do!" 21.4.16"
"To all you delightful ladies who run Carvers so efficiently I would like to pass on our gratitude and appreciation for a job well done. It is difficult to single out any one of you because you have all been not only charming but equally importantly acted as an informed and effective team who exude competence. This is rare. Back in 2009 we used your good offices to move from Middleton St George back into Darlington. The housing market was infinitely less buoyant then, but nevertheless the approach adopted now in 2016 is more proactive and business like with feedback from viewings religiously passed on, offers tracked and the sale process promoted. This is comforting. So, a big thank you Ladies and do keep up the excellent work for clients present and future. Yours most sincerely Guy and June Allen 20.4.16"
"Just a message to say THANK YOU BOTH VERY MUCH Shelly & Ashley in Newton Aycliffe. You both helped to keep me calm through the sometimes difficult process of selling my property. You were there 24/7 for me, if felt like anyway. Thank you. Christine. " "We would like to express our appreciation for the great work that Carver's have done for us, not just in selling our house, but in helping us find our next home. Thanks in particular to David Buckle who really put some effort into marketing our property & Emma Chamberlain who constantly updated us on properties coming onto the market that she felt suited our criteria. 19.4.16"
"I would like to take this opportunity on behalf of my wife and myself to express our sincere thanks and gratitude to Cherise Connors (Financial Adviser) for all of her hard work and professional advice in the remortgage of our current property. Cherise has researched a really good product for us which suits our needs well into the future. Her knowledge of "whole of market " attention to detail, very pleasant nature, will stand as a credit the Carver group as a whole. We would have no hesitation in recommending to others this kind of service, we have enjoyed the experience. Once again our sincere thanks Kind regards Brian and Becki Jackson 15.4.16"
"When we wanted to sell our property we invited a small number of local estate agents to provide valuations. Henry from Carvers understood the local market extremely well, he was clear and realistic and provided a high degree of confidence and we knew we would be in safe hands. Suzanne led the sales negotiation process and helped us achieve a fair price and communicated very clearly and quickly as this was a tense time for buyer and seller. Emma provided invaluable support as the buyer needed additional guidance as this was their first purchase, she added a much needed calming influence to keep things on track. We are delighted we selected the Carver team for their dedication and support throughout. 14.4.16"
"My wife and I would just like to say a huge thank you to Shelly & Ashley in the Aycliffe Carvers for all their help and assistance in helping us sell our property and also helping us find our new home at The Oaks, Woodham . Also a mention to Val who has helped us getting to moving day I would recommend you to anyone starting the process of buying and selling every time . Thanks for all your help . Enjoy your chocolates. 8.4.16"
"We have just purchased a property through Carver Residential. The fast and highly efficient friendly service has been second to none. Having used this company several times before through both Richmond and Northallerton branches we don't feel the need to go elsewhere. A special thanks to Julie Forster at Northallerton for her very high standard of care in handling the purchase for us. With previous sales James has been a gentleman throughout regarding valuations etc..always making us feel comfortable with his expertise. Thank you all for a quality service. Kind regards Reg and Christine Smith. 7.4.16"
"The reason I chose Nick Carver estate agents was because I received an excellent service last time I sold my house. I have dealt with David Tinkler this time and throughout this sale he has been totally professional and efficient. I would happily recommend this company. 5.4.16"
"Thank you to Carol, Ashleigh and the team for a fantastic service. Carol really helped by listening to our needs and offering suitable products based around them. All this and we completed in time to meet our deadline. 4.4.16"
"We would like to say thank you to Carol, Val, Shelley and Ashley for the advice and assistance given throughout the entire process. From our initial enquiry through to the keys being handed to us there was no high pressure sales pitch, just friendly and professional exchanges with a great team who we felt had a genuine interest in meeting our needs. We look forward to using Carvers again and will certainly recommend your services to others. Thanks again. 4.4.16"
"I would like to say a big thank you to the team at Aycliffe Carvers especially Shelly & Ashley for helping me through this difficult time. Having recently lost my husband John, I decided to sell one of my properties which today has completed. I will shortly be selling another property through them as I was so pleased with the service I received from them . Thanks also to Sue in the sales progression team , she kept me updated throughout the process. Thanks Girls. Denise Price. 1.4.16"
"Many thanks to the staff at Carver's especially Cherise Connors, who pulled out all the stops to help us buy our cottage. We got there. 30.3.16"
"I would just like to write a quick message regarding that fantastic customer service from David Tinkler.... all I can say is I would highly recommend, David went the extra mile on all occasions ensuring everything was done for us. We would not have found our perfect home if it was not for David. So a BIG thank you. I would highly recommend David to all of my friends and family, because of the service we received. from Dani and Sam 24.3.16"
"I would like to thank Clare, Val, Adam, and Dawn for all their help with my recent house purchase which i needed to be completed before the end of March. They were extremely proactive in keeping me up to date with progress and worked closely with the seller to achieve the agreed timescale. I would recommend their services to anyone and thank them for their professionalism, persistence and patience. 21.3.16"
"Thank you so much to everyone at Nick Carvers estate agents, Val, Shelly, Ashley and our mortgage advisor Carol. Special thanks to Carol as she went the extra mile for us and every time we hit a brick wall she came up with something else to help us. We have now finally moved and although the months were stressful, Carvers made us feel at ease and made sure we were kept up to date with everything. Thank you :) 17.3.16"
"To Sonia, thank you for "persuading" me to put my house on the market when I did, it's much appreciated. Best Wishes Paula. 17.3.16"
"Thank you very much Sonia for your help and hard work during my house sale and purchase. If it wasn't for you I don't think I would have got the house in Fulwell. You go to prove that Estate Agents don't deserve their bad name. 17.3.16"
"We cannot thank Shelley and Ashley at Newton Aycliffe enough for their help. We spent over a year searching for a house and although the property we are purchasing is not through Carver's, their help, guidance and friendliness was very much appreciated. Thank you. 8.3.16"
"As a Chartered Surveyor I knew that certain aspects of my property would make its sale complicated. Carver’s customer service combining professionalism, attention to detail – especially listening – with a friendly approach ensured the right result with minimum stress. I have no hesitation in recommending Angie and Trish at the Richmond Branch. 4.3.16"
"I would like to say how very pleased and impressed with the service your staff members David and Vikki gave us at your Yarm branch when they recently sold our property. I found them very helpful during the marketing of the property and also Val at your Darlington office was a great help during the sale process. I will definitely be recommending your Yarm office to all my friends. 3.3.16"
"We sold our property through the Newton Aycliffe branch. The property was quite large and proved a little difficult to sell. David and Shelley were brilliant, suggesting ways to make the property more marketable. Eventually we took the advice and the property sold. David and Shelley (and the others in the office too!) were excellent with great feedback and help. Once we received an offer Val kept us in the picture with regular updates. Overall a brilliant service that I would definitely use again. 2.3.16"
"Just wanted to drop you a line Val to say a big thank you to you for making our house move run so smoothly and everyone at the Duke Street office for their help - very professional and always helpful. 25.2.16"
"After agreeing to the property, Carol spent time getting the best possible Mortgage for us for which I am very grateful. I was then put with Ashleigh and Dawn who have looked after us for the past 4 months, what lovely people. A pleasure to deal with. Once again I would like to say thanks very very much. Peter and Jean Cairns 24.2.16"
"Great service, support and advice from Adam Swalwell, Ashleigh Joyce and Dawn Jones. 16.2.16"
"Many thanks to all your staff, especially the Yarm Branch for the quick sale of our house. It went on the market on the Friday afternoon and we obtained the full asking price before 12.00 on the next Monday. You can't ask for better than that! Martyn & Julia Jones 15.2.16"
"Carol & Dawn were fantastic from start to finish, they kept me well informed. Thanks for all your help. 10.2.16"
"Very good service received from Ashleigh Joyce and Dermot Diegan. 8.2.16"
"After being in our new home for just over a month now, we have finally got round to leaving a testimonial and well deserved it is too. David and Shelly at the Newton Aycliffe branch and Sue at Darlington worked tirelessly on our behalf to get us the right result in both our sale and purchase. Their effort and commitment were exemplary. We had an acceptable offer on our house before Carvers had time to put the "for sale" sign up and that is testimony to their marketing prowess. They also assisted with the negotiation of our purchase and were instrumental in helping to close the deal. Our recommendation is made unreservedly and thank you again. 21.1.16"
"From start to finish and excellent service was provided by Adam. Giving us sound advice based on what we had told him we were after. 5.1.16"
"The whole process was easy and stress free thanks to Adam Swalwell. 4.1.16"
"Carol was friendly, efficient and explained everything clearly. She was always a quick phone call away and we are really pleased we came to Carvers for Financial Advice. 4.1.16"
"Carol Blenkinsop delivered a painless and professional service in a smooth and timely fashion. Carol went out of her way to accommodate us as we had to travel from Norfolk. She is a credit to Carvers and we will recommend Carvers and Carol for many years to come. 4.1.16"
"I would just like to say a huge thank you to Ashley & Shelly in Carvers Newton Aycliffe . They managed to secure a sale on my property within 3 days of it going up for sale ! I was kept informed of the progress of the sale , and assisted every step of the way . I am so grateful for all of their help . 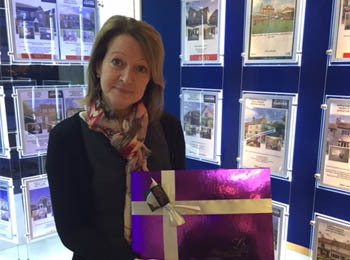 Many thanks Liz Evans 8.12.15"
"The customer service at Carvers has been second to none - as a first time buyer I was very nervous and had little knowledge of the process of house buying and they went through step by step. Shelly and Ashley in the Newton Aycliffe office found properties that were a perfect match and gave me all the updates and information I needed at the beginning of the buy. After coming up against some difficulties with the help to buy scheme I was using, Val managed to get the process moving and chased all the relevant information that I was struggling to get. Overall my experience with Carver Group has been great and I would definitely recommend to others. 4.12.15"
"I cannot recommend Carvers Estate Agents highly enough. I had used three other estate agents prior to instructing Carvers with regards to the sale of my property in Yarm with no success. Carvers were the only agents who actually did what they said they would. From the start their communication was excellent. I received frequent updates about interest in my property, feedback from, and the staff from the Yarm office conducted accompanied viewings which they kept me well informed about. Within around a month I had an offer that I was happy with and the team kept me up to date as the sale of my property progressed. Carvers staff at the Yarm office and in the sales progression team were all extremely helpful, friendly and professional. Carvers provided excellent service and good value for money. I could not be happier with the service that I received. Many thanks 3.12.15 I would like to add to my previous testimonial particular thanks to David and Vicky at the Yarm office. They could not have been more helpful, efficient and friendly. I am very appreciative of the service that they offered and I would definitely recommend Carvers Estate Agents to others looking to sell their property. 4.12.15 "
"It was difficult to hand over the sale of our late mum and dad's house to strangers. However, we needn't have worried as the team at Carver were excellent. Not living in the property or even living in Darlington wasn't a problem! Communication was frequent and swift and - more importantly- friendly. Thank you to the whole team. You made a potentially heart-breaking sale very easy. Best wishes to you all, Jo Courtney and her siblings - Phil and Helen. 2.12.15"
"Nick and Gordon Carver Residential have been an immense help to me when selling my property. Not only have they delivered a service but also a customer service which goes above and beyond. I feel I know most members of staff and yet I have met only one or two people in person. A phone call to Carvers always meant you would get an answer to your question along with an impeccable service too. I can't thank Carvers enough. What a super team you have! Thank you! 1.12.15"
"I was very impressed by the friendly and efficient service shown by the staff at your Northallerton branch. Many thanks for helping to make the house move process go smoothly! 27.11.15"
"I have been very happy with the service from Carvers at Newton Aycliffe, especially Shelly and the sales team there. I would also like to thank Suzanne in the Sales progression team, as I have just been in and handed in my keys ready to complete tomorrow. I would recommend the girls to anyone looking to sell their property . Thanks very much. 26.11.15"
"Adam was very professional and helpful from the start. We would highly recommend his services. Thank you 24.11.15"
"I would like to say a big thank you to Nicola and the team for the work you have all done selling my Dad's house. I have been very impressed with the service provided from my first meeting through to completion. 23.11.15"
"Adam provided an excellent service through a tricky and stressful house purchase. The team were incredibly helpful and really took the stress (or some of it) out of house buying. 20.11.15"
"We were very pleased to deal with Carvers on the recent sale of our property in Northallerton. They really are a very professional estate agent. The sale process started with some very good recommendations as to how we could improve our property's appeal without spending too much money. Then Carvers sent the right people to view the property, which resulted in us accepting an offer within 7 days! We were regularly updated on the progress of the sale by Suzanne in the Sales Progression Office. We would sell a property with Carvers again without hesitation! 19.11.15"
"I cannot speak highly enough of Julie Pennington and the team at Carvers in Darlington, we are relocating to the UK and Julie has shown exceptional professional expertise in guiding us through the process of getting a mortgage and ensuring that we were able to purchase the right property for our family. 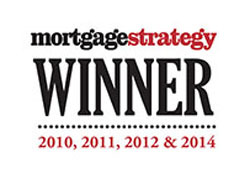 I would highly recommend Julie & the Carvers Mortgage Team to anyone, they are quite simply the best ! 17.11.15"
"We were delighted with our experience through Carvers. We were helped very efficiently by Dawn in the office. Dawn was a delight to deal with on the phone and nothing seemed too much trouble. 13.11.15"
"Re Val Cheesebrough Sale of 14 Aylmer Grove & Purchase of 16 Paxton Court, both in Newton Aycliffe - I want to put on record the outstanding service my wife and I have received from Val during a very stressful time for us both. Val was totally professional in all our dealings with her, but most importantly there was also a great deal of the "personal touch" in everything she did and said. We are convinced that without her skill, knowledge and tenacity the sale and purchase of the properties would not have taken place - Val is a gem. Please pass on our thanks and gratitude for all the time and expertise Val has shown to us over the last few weeks - a very grateful Jim & Hilary Eccleston 11.11.15"
"We were very pleased with the way Carver's handled the sale of my mother's bungalow. They kept us fully informed when viewings were taking place and gave us regular feedback on interest, and how the sale was progressing. Our queries were answered promptly and in a cheerful and friendly manner. We are happy to recommend Carvers. 10.11.15"
"On behalf of my husband and myself, we would like to thank you for all your help with the recent sale of our house in Marwood Crescent. It has been a slow journey but we have got there in the end. Many thanks for your patience and all good wishes for future business. PS A special thanks also to Sonia for her help. 6.11.15"
"Excellent Service throughout. Thanks. 5.11.15"
"We used the services of Adam Swalwell in the financial services team for mortgage advice in connection with a recent house purchase. From the start we found Adam to be attentive and open and he quickly assimilated our needs. He always did what he said, engendering a feeling of confidence in him and his advice. He gave us options and clearly described the pros and cons. We valued his flexibility to be available when needed. He was knowledgeable and guided us through the necessary steps to arrive at a decision we felt met or needs. 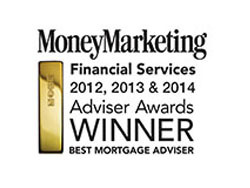 We would highly recommend him to anyone who needs advice and help in making a mortgage selection decision. Many thanks. 4.11.15"
"Previously dealt with Cherise and every time I speak to her she knew exactly what was happening with my application, nothing was a problem for her. Would recommend her to everyone. 4.11.15"
"The Customer service was excellent, I would highly recommend Julie Pennington as a mortgage advisor. 3.11.15"
"The girls in the Richmond office made everything so easy for us when buying a house through them. Trish is especially helpful and understanding. Enjoy the flowers! Thanks to both Angie and Trish though. And not that we're going to sell up any time soon, but if we did we'd use Carvers. :-) 3.11.15"
"Amazing mortgage advice By Julie Pennington, extremely friendly, always remembered all of our past conversations and made things extremely easy for us. Fast working easy to get hold of, and message answered more or less straight away. We couldn't be more grateful for making buying a house so easy. THANK YOU!!! 2.11.15"
"Mr & Mrs Longmire receiving their magnum of champagne as winners of the monthly testimonial prize draw. 2.11.15"
"The latest winners of our monthly prize draw. 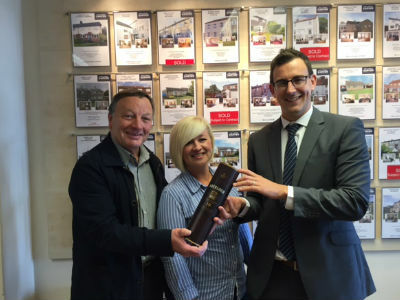 Mr Nixon and Ms Boston Smithson receiving their magnum of champagne from Faye Priestley from our Northallerton office on completion day. " "This is the second time my wife and I have re-mortgaged with the advice and help of Carol Blenkinsop of Carver Financial Services. Without the right advice this process can be confusing, laborious and stressful, however, with the help of Carver this process has been the opposite and the savings we have made have been substantial. Carol’s ability to communicate in layman’s terms is remarkable and a breath of fresh of air for an industry that historically has a bad reputation. If you’re looking for sound financial advice from a friendly organisation I would highly recommend Carver. 30.10.15"
"Great experience from start to finish. Thank you. 30.10.15"
"Thank you to all of the team at Carvers who have been supportive and friendly throughout the process of us buying our first home together. We would recommend using their services. 30.10.15"
"Very happy with the excellent service provided by the team, particularly Angie and Trish in the Richmond office and Suzanne in the Sales Progression Team, all of whom have been efficient and cheerful in dealing with my sale and purchase. Would certainly recommend to anyone selling and buying. Thanks to everyone. 29.10.15"
"Julie and Faye at your Nothallerton branch dealt with the sales of our bungalows very professionally and efficiently through out, they kept us informed all the time and we would not hesitate to use you again well done. 28.10.15"
"Angie in our Richmond Office received a big thank you box of chocolates from the vendors of Gordon Crescent"
"I found Vikki in the Yarm office very professional, helpful and a great personality, Carvers are extremely lucky to have her on their team. I shall enjoy my new property. Many thanks Yvonne Lancaster 26.10.15"
"I would like to say a big thank you to Sonia and the team at Carvers. When I first met Sonia she was very personable and she took the time to understand my thoughts about the sale of my property. I was happy with the valuation that she gave and it proved to be correct. After accepting an offer on the property the rest of the team ensured I was kept up to date about all developments at all times, until the sale completed. I would recommend Sonia and the team at Carvers, as they made the sale of my property a very easy process. 26.10.15"
"Hi Suzanne I just spoke to James- thank you for all your help and kind efficient assistance throughout this process. You, Julie and the team did a great job. Thank you! Paulette and David 23.10.15 "
"Would like to thank Carvers for helping us with the sale of our house. Especially Susan, Sonia and Val who were always on hand to help us with the process and keep us calm. Would like to thank Julie Pennington for sorting out our mortgage for us. We will definitely recommend Carvers to all friends and family. 23.10.15"
"We would like to thank Dawn & Ashleigh (as well as the whole team) for their excellent service. Updates were frequent and made for an easy and stress free property purchase. Everyone we spoke to were friendly and very helpful in an answering all of our queries. 21.10.15"
"Dear Sonia I would just like to say a huge thank you to you and the team for negotiating our house sale. You never gave up and persisted until the "deal" was completed. You gave me excellent advice regarding accepting the reduced price and I am so glad we completed. We even got a card from the Proud's to say good luck in our new home. Thank you once again. 19.10.15"
"An excellent service starting from David Tinkler from the valuation and getting the property ready for sale. Shelly & Hilary then began arranging viewings from their local office in Newton Aycliffe and it was very soon under offer. Also I must mention Val in sales progression to getting us to completion today, she kept us updated. My wife and I would like to say what an amazing team . Thanks so much Girls. 19.10.15"
"Thank you for your great support during the stages of both buying and selling via Carvers. Any issues were resolved speedily and communications first class. Trish and Angie were particularly supportive and extremely helpful in our search for properties. Thanks once again for helping us through difficult and sometimes stressful situations. 16.10.15"
"We recently bought a house in Richmond through Carver's Richmond office. We were extremely happy with the very friendly service of both Angie and Trish. Being (elderly) first time buyers, we found them very patient and helpful. 15.10.15 "
"Many thanks to a fantastic team at Nick & Gordon Carver from the first point of contact Sonia to our house being sold. Always a friendly voice at the end of a phone special thanks to Sonia for fab photos. To Rachel and Nicola for their understanding and patience. I can't speak highly enough of their first class service. I wouldn't hesitate in recommending Nick & Gordon Carver to my family and friends. 15.10.15"
"I would just like to say that I received an excellent service from the ladies at Carvers Newton Aycliffe. From Hilary and Shelly especially . They helped me through the process from beginning to end . Also a special mention to Carol for arranging our mortgage, helping the process to be stress free! Thanks to Val also in your Sales Progression team for keeping me informed all the way !!!!! JOB DONE Got the keys today . Thanks Girls . 14.10.15"
"I would like to say thank you very much to all of the staff from Newton Aycliffe & Darlington branch. Excellent job. Especially David Tinkler, Shelly and Sue. I will use again in the future. 14.10.15"
"Selling my late mum's bungalow was always going to be an emotional time, but I found that the Carver team minimised any stress involved. From James coming to do the initial valuation and then ongoing updates from Angie, Trish and Vikki I always felt supported and fully informed. I wouldn't hesitate to recommend Carvers to anyone looking to sell. Many thanks. 13.10.15"
"I would just like to say what a pleasant experience we received from Shelly and the team at Newton Aycliffe. Also a mention to Sue Atkinson in the Sales Progression team. She kept us updated throughout . We would recommend the girls to anyone . Thank you so much. Tom & Barbara Longmire. 13.10.15"
"From our recent experience 'Not just an Estate Agent' is very true.......By chance we were walking past and called in only for information, which we got in abundance from a very friendly and well informed lady and decided there and then we would use Nick & Gordon Carver to sell our property, James Carver valued it and advised us on the best way to sell it, which to us sounded a little 'different' but we went along with the advice given and everything he said was absolutely correct. If we needed to know anything either by telephone or in person, Angie and Trish were always so friendly and very professional. I would not hesitate to recommend this company to everyone as they helped make the selling of a home 'stress less'! Our thanks to you. 13.10.15"
"It became very obvious to me that the two people on the front desk Julie and Faye in the Northallerton Branch were intent upon making extra effort into the sale of Eryholme Cottage, East Cowton. They became relentless when I had signed a reservation form at Malpas Road, Northallerton in finding me a buyer. They displayed an empathy which helped prevent anxiety or lowering of resolve to get my house sold. Both Julie and Faye were genuinely intent on finding me a buyer and had my best interests at heart in moving me from my house to my apartment in Northallerton. I would recommend to anyone that they should use Carvers in Northallerton in particular Julie and Faye. As with the sale of any product enthusiasm and belief goes along way to get the end result these two have it all. They truly are an asset to Carvers. 13.10.15"
"I would just like to say we received an EXCELLENT personal service particularly from Shelly in the Newton Aycliffe branch, without which we do not believe that we would be in the position we are in now , having completed our sale . A massive thanks to Ashley , who we know is new to the Aycliffe team for arranging the viewing that sold our property . We would highly recommend them to anyone thinking of selling in Newton Aycliffe . Thanks for all your help . 13.10.15"
"Excellent service every time from Carol. 10.10.15"
"Thank you Carvers for a smooth sale - special thanks to James, Angie, Trish and Val who followed this through from start to finish and kept me updated all the way. 10.10.15"
"From initial valuation to the completion of the sale Carvers were always professional, honest and communicated with myself on a regular basis. I would have no hesitation in using Carvers again to sell my property. 9.10.15"
"Carol and Dawn have helped us twice now. They have both been fantastic! They were always there to answer any questions we had no matter how trivial and made us feel very comfortable. 8.10.15"
"Professional service as always. Various options sourced and explained before decisions were made. 7.10.15"
"Many thanks for the excellent help to sell my house. I had never sold a property before so was very unsure of the process but Julie and Fay at Northallerton kept me in the loop regularly, they were always able to answer my queries and smoothed the way to completion. Thank you ladies you're a credit to Carvers. 5.10.15"
"We have sold two houses through Carvers and have always renewed our Mortgage via Adam every few years - we've always received a good service, friendly advice and a good mortgage rate! Thank you! 5.10.15"
"In my role as a valuer for a County Durham Housing Association, I was tasked to source and purchase over 60 empty properties over a 3 year period. During that time, the Team of staff at Carvers office in Newton Aycliffe helped me to identify over 18 empty properties purchased via their office. Throughout that time, I found all the staff to be a pleasure to deal with, greatly assisting with my search for and negotiating the purchase of suitable properties. I would not hesitate to use them again in the future. 2.10.15"
"Hi Sonia Just wanted to drop you a line to put on record my appreciation for the way you and the rest of the team at Carvers have once again provided an excellent service. In this day and age of the internet taking over the world it has been wonderful to deal with the sale of my mother's house through the "traditional" way through Carvers. As you know over the last 30 years I have dealt with you on a number of house sales and you will always be my first point of call in the future. Your team, I can only mention a few - Nicola and Jenna in sales and especially Sue in the follow on team have been superb and have always kept me informed along the way. I wish you and your team all the best for the future and once again, thank you for all you help. David Chambers 2.10.15 "
"Many thanks to Sue for all your help, much appreciated. 2.10.15"
"New to Darlington we found Carvers to be extremely helpful in our search. Particularly Emma who listened to our requirements and showed us around multiple properties meeting our criteria and budget. She and Jenna kept us up to date with any new properties they thought may interest us and quickly arranged viewings. The service felt very personalised. We are delighted with the house we have found and would highly recommend Carvers to those looking to buy. Thanks to Emma and all the team in the Darlington office. 2.10.15"
"Fantastic team. Always on hand to help with any queries. Would recommend to anyone. David Tinkler & Val Cheesbrough were fantastic throughout buying and selling my property. 1.10.15"
"Many thanks to Dawn & Ashleigh together with all staff for all their help. 23.09.15"
"We went to Carvers in Newton Aycliffe to sell our property and would highly recommend them to anyone as our property didn't even get onto the open market because Shelly sold it before the for sale board went up ! Sue Atkinson in Carvers Sales progression team kept us updated at every stage and made it a stress free experience from beginning to the end . Thanks Girls . 15.9.15"
"Carvers mortgage advice service was great. 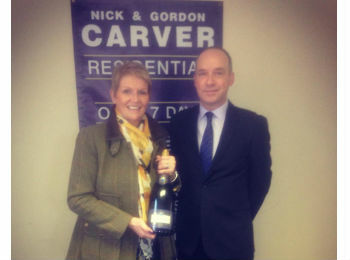 Carol was excellent in sourcing the right deal for us and getting a mortgage arranged in no time at all. Thank you Carol, would definitely recommend your services. 7.9.15"
"I found the services I received from Carvers, through Julie Pennington to be absolutely fantastic. As a first time buyer in my 30's, I felt a little embarrassed not to have already been through the mortgage process, and Julie put me at ease and gave me some excellent advice, and explained all the options clearly to me. I would thoroughly recommend Julie's advice to anybody considering getting any type of mortgage, her knowledge was very comprehensive, and really did give me the confidence to commit to doing something I'd probably been putting off for years, through being too apprehensive. 4.9.15"
"We have sold two houses previously through Carvers and you remain our most preferred estate agent especially after purchasing our dream home today through Carvers with the invaluable assistance of Faye from your Northallerton branch. From our first meeting with Faye we were impressed with her energy, attitude and professionalism. Judging by her speedy follow up and attention throughout, Faye is obviously "going the extra mile" to ensure your customers are getting first class service and she has reinforced our perception of Carvers as the premier estate agent business in the region. Many thanks to all at Carvers. 21.8.15"
"Julie Pennington was a great help, showed us all the products on the market and advised us on which mortgage would be suitable. Julie explained everything we didn't understand and was very friendly and approachable. 20.8.15"
"Huge thank you to Julie Pennington - Mortgage & Protection Consultant from the Northallerton Office. Julie was professional throughout and incredibly patient when going through all my financial requirements. I will be in touch again soon for when we sell. 19.8.15"
"Superb service from the start. We were looking for a house in a very popular and sought after area, Angie Simpson in the Richmond office took the time to research and understand our actual needs and found us the perfect house! Thanks to all involved! 18.8.15"
"Great service, Professional, deal with issues quickly. All admin were spot on thanks to Dawn. Made getting the finances sorted so easy. 17.8.15"
"Rachel, Nicola, Claire, Emma, John (the viewing guy) and all the team at Carvers have been fantastic! So professional and friendly and have gone out of their way to help us. Many thanks to Rachel for all her efforts booking viewings for us. We are very happy we found our new house with such lovely agents! We can't recommend Carvers enough to anyone. Thank you everyone! 11.8.15"
"More than happy with the service we received from Carver regarding our mortgage and everything that goes with it. We were guided along the process with everything fully explained to us in a way we could understand and are now happily living in our new home. Thank you, Julie and the rest of the team. 3.8.15"
"I would just like to say that I would recommend Shelly And Hilary at Carvers Aycliffe to anyone for their helpful advice and service to me throughout my buying process of my new property . I was so excited to finally collect my keys . Lorraine 31.7.15"
"Had a very good experience with both Carol and Dawn. Carol was very professional, helpful and knowledgeable and friendly. I was able to contact her at any time if not immediately, she then returned my calls and answered any queries asap. Excellent work. Dawn was very good and again very helpful and efficient. I would recommend them both to anyone. 31.7.15"
"Our adviser Carol was very helpful, efficient and friendly. We felt that we received a good service from both Carol and also the administration staff. Ashleigh dealt with some of my calls and emails and responded quickly and efficiently. We would definitely recommend Carvers to our friends and family. 30.7.15"
"A big thank you to all of the Carver's staff for all their help in our sale and purchase. 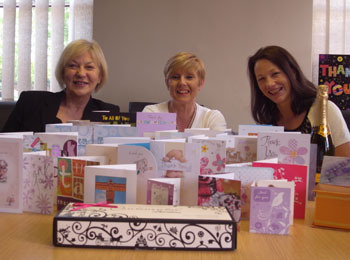 In particular Val, Carol, Dawn and Ashleigh, we couldn't have coped without you! 30.7.15"
"Just to thank Carol Blenkinsop for her kind support and assistance in helping me through the mortgage maze, and purchasing my first home. I would not hesitate to recommend her to my friends and family anytime. 29.7.15 "
"I have received feedback from several clients about Carol Blenkinsop and all of them, without exception, highly rate the advice and support she has given them in purchasing their homes. It is a pleasure always to work with her and the Carver team. Thank you. 29.7.15 "
"I found Carol very helpful and friendly and she maintained contact throughout the process of my re-mortgage. I would recommend her to any of my friends requiring a mortgage. 24.7.15"
"I'm very pleased with the service I received from purchasing a property through Carver's, all the team are very helpful and kept me updated at all times. I would like to say a massive thank you to Carol Blenkinsop, Financial Advisor, for her help and support, she was brilliant. I contacted Carol for help in finding the right mortgage, and from the start she was very helpful and guided me through the process smoothly. 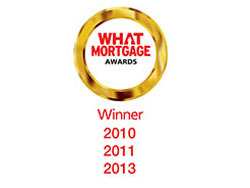 I will certainly be recommending Carol to anybody needing any advise and help with a Mortgage. Thank you for all your help. 24.7.15"
"Dear David/Val I received keys yesterday. Myself and family thank you very much for all the help from Nick Carver group from beginning till now. Regards Ravi. 23.7.15 "
"A big thank you to all the staff at Carvers. Your professional yet friendly service ensured that the buying and selling of our properties was pleasant and easy. You were always quick to respond to any questions and kept us fully informed and up-to-date with progress. Many thanks once again. 14.7.15"
"Carol & Dawn were very helpful. Carol Sourced and excellent mortgage and Dawn kept us informed every step of the way. 14.7.15"
"Thanks to the Carver team for a first class service. I have never sold a property before and was unsure of process involved, but thankfully the team made it very easy and seamless for me. Thanks again, I would definitely use you again in the future. 13.7.15"
"I found Cherise very professional and she always got back to me regarding any questions etc. She was very clear and always and always gave different options on mortgage deals and offers. 13.7.15"
"Totally delighted with the quick sale of our house with the help of Carvers, Darlington. I found Henry extremely knowledgeable and his advice was invaluable from the very start of the process. He took excellent photographs of the property and the sales particulars were extremely well presented. The sale went so smoothly that I never had the opportunity to meet the rest of the team really but I can say that they were most helpful on all occasions I spoke to them on the telephone. Thank you Carvers and I have no problem in recommending you to anybody wishing to sell a property as we would definitely use your company again in the future. I might add we have used other agents in the past who have fallen way below your standard. Thank you very much. Linda & Andy 13.7.15"
"Adam was really helpful and experienced, as a first time buyer he really helped me to understand the ins and outs of the whole process, he was always on the end of the phone if I had any questions. His personality and friendliness kept me confident and relaxed. 2.7.15"
"Looking to buy in Northallerton so over the last 8 months Faye has kept us in constant touch with properties that suited our needs. Even better there were no red herrings, she applied the necessary filters! Living away from the area Faye was always cheerful and mindful of our needs and concerns and easy to chat to on the few occasions we managed to visit the office. Thanks for all your help! 1.7.15"
"A huge big thank you to all the team at Carvers in Darlington and especially to Sonia who set the process off for us. She gave us invaluable advice on when to market our property as we are moving out of the area and the timing was perfect and all went according to plan. An extremely helpful and positive experience. Best wishes Sonia. Mike and Linda Taylor. 30.6.15"
"Julie Pennington helped me through the mortgage process - explained everything well and always answered questions promptly. Very friendly and approachable always professional but personable with it ! Lovely Lady! 29.6.15"
"On Thursday 11th June 2015 I sought financial advice from Adam Swalwell in preparation for purchasing a property once the sale of my own home (with yourselves) was progressed. I saw Adam at the Duke Street Branch and was instantly made to feel welcome and at ease. Adam searched the whole market to obtain the most competitive quote. At this stage I wasn't in a position to take matters further although I'd seen a property I wanted to move on. Within days that had all changed (thanks to the fantastic sales team at Carvers) and I made another appointment to return and see Adam. Adam had prepared everything and had completed all the work needed to be done prior to my second visit. I have never had such a stress free financial experience and i'm very grateful to Adam for his professionalism and efficiency!! I would recommend Adams services at Carvers without hesitation and also suggest early consultation is worth considering as he made everything so easy and hassle free. I also know I have him as a point of contact re my mortgage until everything is sorted. 23.6.15"
"Myself and my husband cannot believe how easy it has been to sell our home. James and Vikki have been so helpful; they really are amazing. James came and valued the house and only a few days later the for sale sign went up. James took some beautiful photos I was really impressed. The description was sent to me and I could not fault it. We have had three viewings on our home and in four weeks our home has been sold for the value we wanted which will allow us to move. Vikki has been contacting me throughout the process, she is so approachable, friendly and professional. I have never sold a house before and she has guided me so well so a massive thanks to Vikki. I would not hesitate to use Carver Estate Agents in the future and I will be telling my family, friends and clients about Carver and their fantastic service. 19.6.15"
"Our property went up for sale in April 2015, within days of the profile 'going live' viewings had been arranged with feedback forthcoming very quickly. We were confident our property would sell at some stage, but the interest generated a bidding war, of which my thanks and gratitude must sit firmly with Nicola from the negotiation team. Nicola's commitment to getting us the best possible price coupled with judging the buyers position was outstanding, whilst remaining impartial it was clear that her experience and expertise in this field was second to none. Nicola not only secured us an optimum price but helped us weave through the maze of 'what to do next'. I will always be grateful to Nicola for being so kind, honest and knowledgeable. Thanks Nicola and the rest of the team in Duke Street. 18.6.15"
"Thank you so much to all the team at Carvers, especially Sonia and Sue and the rest of the girls on sales and guys! The service we got was excellent always polite and friendly when you spoke to them. Our house sold within 3 weeks so it was a busy time but we got through it!! I would recommend Carvers to anyone wanting to sell their house. 18.6.15"
"We can't thank the team at Carvers enough. We would have really struggled if it hadn't have been for Julie and Dawn. A really friendly, caring and professional team! 15.6.15"
"I received fantastic customer service and support from Shelley, Carol and Hilary when I recently purchased several properties in Newton Aycliffe. Would recommend. A great service. 10.6.15"
"Prompt, efficient and friendly service. Thanks for your help Adam and his team. 9.6.15"
"We would like to leave a testimonial for Julie Pennington. She was incredibly helpful and friendly and we can't thank her enough for helping us sort out a mortgage. Thank you! Rebecca Jackson and James Graham. 8.6.15"
"Thanks to all the team for all their help, a special thanks to Trish and Angie at the Richmond office nothing was ever to much trouble! Thanks girls. 2.6.15"
"Dear David, Just to say how much I appreciated the skill you and your team brought to the sale of 18 Yoden Court. I was very reassured to have such a competent, commercial and friendly service. I was particularly impressed by the hand holding of potential buyers where a lot of value was added. Many thanks, Best wishes, David 26.5.15"
"The service received from Adam and his team was excellent and I would definitely recommend Carvers to family and friends. 15.5.15"
"To all members of staff, I would like to express my thanks to all the staff of Nick & Gordon Carver in Darlington and Northallerton for their work in the sale of my late brother's property in Devonshire Road. Everyone has been professional, polite and helpful whenever I have had need to contact you. When/if I need, I shall certainly use your services again and would not hesitate to recommend you to family and friends. Thank you. 15.5.15"
"Huge thanks to the team at Carvers! They helped me and my other half get on the ladder and with great guidance. Special thanks to Shelly for helping keep me sane through out the whole process! We have now got our home to get ready for the arrival of baby! Thanks again!!! 12.5.15"
"With the complication of our mortgage, Adam and Dawn's work was invaluable and would like to take this opportunity to thank them both very much. 11.5.15"
"Carol and Dawn were both excellent in their roles, despite our house initially falling through. They remained an excellent source of advice and provided great info in a timely manner. Well done! 11.5.15"
"We would like to say a special thank you to Shelly at the Newton Aycliffe Office and Val in the Sales Progression Team in Darlington. Shelly from the outset was fabulous; she was always transparent, honest and always willing to offer advice when required. Shelly was relentless in trying to obtain a buyer for us and her determination paid off. Thank you Shelly, your friendliness and great communication skills made it a pleasure working with Carvers. Val and Shelly worked great as a team and communicated with each other when challenges arose. Val worked tirelessly, communicating with all partners within the chain which included, buyers, solicitors, surveyors and other estate agents to ensure the moving transition was a success. On behalf of our family, thank you for all your hard work Shelly and Val. 6.5.15"
"We have now sold two properties through Carvers, one in difficult selling times, and the service and support has been superb. Very professional and communication is always there. We have sold both through the Richmond office and we could not praise enough the professionalism and support from Angie and Trish in the first case and Angie, Trish and Vicky for the second property. We were introduced to Carvers by Sue Scott and our thanks go to her. Gordon and Tina Scott 6.5.15"
"To Val Faye & Julie Thank you for all your help. Cavers couldn't have a better team working for them. Hope to work with you all in the future. Thanks Faye and Richard. X 29.4.15"
"We had great experience with David Tinkler at your Newton Aycliffe office and his staff. We don't come across such good service this often. Thank you. 17.4.15"
"We have bought 1 house and sold 2 houses using Carver's. Each time Sonia, Val, Sue and the rest of the team made the process so much easier and less stressful. Everyone was always so pleasant, helpful and efficient. I would recommend Carver's to everyone. 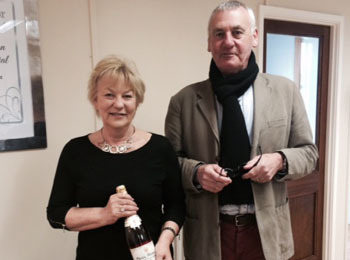 13.4.15"
"Mr Hutchinson called into our offices today with a thank you gift for Sue on behalf of him and Mrs Hutchinson. Sue helped to ease the process of purchasing their new home which may not have happened without Sue's experience and knowledge of the conveyancing process. Two happy faces. 13.4.15"
"To Val, Adam and the rest of the staff at Carvers, Thank you for helping to make our house purchase go as smoothly as possible. Regards Dave & Rana Coates Woodland Road 7.4.15"
"Dear Sonia, As I am sure you are aware, the sale of our late daughter's house in Darlington was completed on Friday 27 March 2015. Val and I would like to thank you and your colleagues for all your help and guidance during the sale process. With best wishes Kevin G Hardisty 31.3.15"
"To Val, just to say thanks for all your help in our recent move. Your happy voice and good advice was invaluable. Love and Best Wishes The Chapmans Vane Terrace 1.4.15"
"To Sonia, Thank you so much for all your help and kindness. I don't think we would have gone ahead without your good advice. You made a very stressful time very much easier, especially as it fell on Christmas time. You are a gem. Love and Best Wishes 1.4.15"
"Just a quick note to thank all at Carvers for making our house sale as stress free as possible. Thanks in particular to the Newton Aycliffe branch - David, Hilary, Shelly and Sue for all their hard work. We would certainly recommend Nick and Gordon Carver to anybody seeking friendly, honest professional help in selling and/or buying property. 11.03.15 "
"I am writing to thank you and your team for their help in selling our house in Staindrop Road, particularly Sue and Val who played a major part in the later stages. We are now settled in to our temporary accommodation at Rowan Court and hope to move to our new house at Yiewsley Manor in April. 26.02.15"
"Val - thanks for all your help and support, impeccable as ever, along with that of your colleagues in Richmond; a pleasure to do business with! 6.2.15"
"To all at Carver's: especially Sonia, Clare, Jenna, David and Sue for all the help you have all given us in selling the bungalow. The service was excellent from the moment Sonia came to value the bungalow, right through to securing the sale. Advice given was excellent with friendly service, would definitely recommend for a stress free sale. 6.2.15"
"Thank you to all at Carvers for all your help in the purchase of our new property, we had good service from start to finish, especially thank you to Hilary for finding this property for us and the viewings arranged, also thank you to the sales progression team for keeping in touch on a regular basis. 22.01.15"
"To Val - Thank you for all your help and support - you've made the process of selling my uncles home a lot easier Kind regards and best wishes Karen Young 16.1.15"
"Fantastic estate agent with the personal touch, our house sold in just 5 weeks. Special thanks to Jenna who is a real credit to your organisation. She personally visited our house and gained a full understanding of what she was selling. Julie, your mortgage consultant, was very knowledgeable, gave honest advice, nothing was too much trouble and she was very efficient at keeping us updated at all times. David was also very helpful and gave sound advice regarding the selling and buying of our new home. We would definitely use Carvers again and would have no hesitation in recommending you to friends. 12.01.15"
"To Val and staff members.... Thank you for all your help in the sale of The Apple Barn, Walworth. Barry & Pat Garnett 7.1.15"
"Earlier this year, we bought our house through Carvers, Northallerton, with the help of lovely Faye Priestley. During our search for a house, she was unfailingly cheerful and so helpful, even suggesting ways of making our previous property more attractive to potential buyers (it worked!). Cheers Faye 19.12.14"
"From the minute we picked the phone up to Carvers to book our market appraisal we were immediately impressed by their knowledge, understanding and professional manner. This then continued when we were visited by Gordon Carver who conducted the market appraisal. We were extremely happy with the price our property was valued at and this was backed up by their recent sales success in the area. This not only gave us the confidence that we could achieve the best price, but also that we could work to the strict timescales that we required. After we had informed Carvers that we would like to go ahead and place our property on the market, we were visited by Henry Carver who came an conducted the measurements, photographs and floor plan. He was extremely professional again, and his confidence in selling the property was paramount. Any further questions and queries we had were answered by Henry, and again his knowledge of the industry and the market place really showed. As soon as we had signed the contract the viewings started flowing, we received two viewings before the property had hit internet marketing. This was great for us and demonstrated that not only the right agent had been chosen but they had the right buyers on their database to contact. This proactive approach didn't slow down, and the viewings continued. We received a couple of cheeky offers and a level we weren't comfortable with. How ever we remained confident that Carvers would deliver the right buyer and the best price would be achieved for ourselves. This day did come, and we were ecstatic to receive the news that our buyer had increased to the level we want. Of course we accepted and instructed our solicitors straight away. We knew that we weren't quite over the line quite yet. We were introduced to the sales progression team. The communication from them was superb throughout. It allowed myself and Jenny to relax and start looking at properties in Leeds. The relocation was stressful enough, but I have to say that Carvers did everything they could to keep us informed every step of the way. I remember receiving the phone call from Carvers informing us of the news that we had exchanged. I cannot recommend Carvers enough! There is a reason that they are the "go too" agent in Darlington and surround areas, and I’m sure their growth and success with continue. 19.12.14 "
"After a bit of a struggle - I think - my property has been sold - struggle due to old building with Grade II Listed Building restrictions but I cannot fault Carver - honesty, courtesy, helpfulness, keeping me informed at all stages - I would recommend Nick Carver and Val and everyone else I have spoken to over the last 8 months - too many to mention - to all my friends if they were selling a property - if I ever had to sell again in the UK I would not even look for anyone else. Thank you for all your help. 9.12.14"
"We have used Carver Estate Agents for both buying and selling. Firstly selling, their service from start to finish was superb. James Carver handled our sale; what we liked the most was that he handled our expectations very well he did not try and do the 'oversell' in terms of what he said he could get us for our property (like other agents); we felt he understood what we trying to achieve and as a result from initial appraisal to agreed sale was around a week, we could not have been happier. This links to their 'sales progression' team who handled our sale, but also potential purchase. At all times through both processes we spoke to one person who at all times knew exactly who we were, why were ringing and in fact made the whole process 'easy and stress free'. We could not recommend them highly enough - if only they could handle all property deals the process would be seen as easy and simple rather than hard and annoying as it often is. 8.12.14"
"I would like to thank everyone at Carvers for the work they did to market my late parents property in Darlington. As a result of past dealings with estate agents I had an expectation of impersonal and generic services with a lack of focus on my particular sale. However this was not the case with Carvers. From first contact to final sale the service exceeded my expectations. The valuation was realistic, the number of visits was excellent, the offers were very well vetted and the communication was first class. The result was that the property was sold quickly at a realistic price, with both buyers and sellers happy with the result. I would not hesitate to recommend Carvers, they are a first class estate agents in my opinion. 6.12.14"
"A big thank you to the team at Carvers for their on going help with our purchase. We have had quite a testing time trying to secure a property since relocating back to Darlington after 20 something years away and their professionalism and friendly approach has been greatly appreciated. Special thanks to Nicola Carver and Adam Swalwell for their patience and continued support. We are all very excited about getting the keys to our new home! 5.12.14"
"Tom and I dealt with Julie Pennington many years ago at the Skipton. We found her the most approachable and honest financial advisor we had ever met. We have followed her round ever since and would never think of going to someone else. Julie is open, honest, down to earth and an asset to any company she works for. We are very happy with the service and advice she has given us. She is always current, up to date and aware of the best options available for her clients. First class service. 4.12.14"
"From the moment we started purchasing our property Julie Pennington was superb. Throughout the process she has gone above and beyond, to help us with mortgage and general advice. I believe she always had our best interest at heart and she really loves her job. Thanks Julie. 4.12.14"
"We have dealt with nice polite staff (Faye Priestley & Julie Pennington) who have both been very helpful to us in making the transition to buy our first home. 2.12.14"
"I sold my house through Carvers this year. I was very pleased with the service and support they gave. There were delays in the sale progressing (no fault at all of Carvers), however they helped out with solicitors communications and pushed the sale through as quickly as possible. The communication was excellent. I also used the financial services available. This was also made very easy and straight forward. I had mortgage issues which were a little complex but all aspects were sorted by Julie Pennington. I'd definitely recommend their services. 1.12.14"
"HO HO HO Happy Christmas everybody....but seriously we would like to say a heartfelt BIG THANK YOU to all the lovely ladies at the Northallerton Branch, Faye, Julie and Julie Pennington have been so wonderful and professional all at the same time. Nothing we did or asked for was too much trouble, all with a big smile or a helpful phone call . John and myself would like to say how impressed we were and would highly recommend Carvers Northallerton to all our friends. When i was at Darlington many years ago i purchased my first house with the Darlington Branch at 18 years of age, so thank you all again.MERRY XMAS Cherie & John Darley 29.11.14"
"I have used Adam Swalwell as my Mortgage Advisor and have been delighted with the service I have received. From finding me the right mortgage to sorting out various insurance policies for me, Adam has been excellent. I was particularly impressed by how quickly my emails were responded to and would highly recommend Adam to anyone looking for Mortgage advice. 27.11.14"
"Thank you to all the staff at Carvers for their help in getting us a sale on our property . I would like to mention David Tinkler and his team in Aycliffe for their help in the early days in securing us a sale. David goes that extra mile to make sure you are happy with everything and that certainly deserves a mention. Also to the team at Darlington, namely Val and Suzanne for their help. Phone calls are always returned and the service you receive is very professional. I have used other estate agents in the past and no one comes close. Thanks again......I will certainly be recommending yourselves to friends and family:) 29.11.14"
"A big big thank you to Faye Priestley Northallerton branch for all your hard work trying to sell my house Always so friendly and helpful If I win the champagne I think you deserve it more than me x 29.11.14"
"Thanks for your help Henry we were impressed with your service and would deal with you again. 26.11.14"
"To Sue Atkinson Thank you for your help with buying Carmel Gardens. We know it wasn't the easiest sale. Have a great Christmas. Ross & Natalie 25.11.14"
"Just a quick note to say thanks to David and his great team at the Newton Aycliffe Office They could have not done any more to make sure all went ok with the house sale I am sure they will all keep up the good work Many thanks Dave and Kate 24.11.14"
"Very happy so far with the service from Carvers. My main contacts are Sonia and Emma. Sonia instilled a lot of confidence in me and made the decision to sell with Carvers an easy one. She is down to earth, listens and gives practical advice when requested. I am sure my sale is in good hands. Emma has been a pleasure to deal with, showing me several suitable properties and keeping in touch. I also had a very reassuring meeting with the mortgage advisor. All in all, I feel supported through the process of selling my house and choosing another property to move on to. 24.11.14"
"We would like to thank all the staff at Carvers for all the help and advice we have had with the sale of our property and the purchase of our new property. From start to finish we have had a great service. We must mention Sonia who did the valuation on our property and kept up to date with the progression of the sale and recommended properties to view, she knew exactly what we were looking for, and also Sue who was our point of contact through the Sale and Purchase which made the process so much easier as Sue knew all the details and would deal with any queries swiftly and efficiently. 24.11.14"
"I have looked at several properties with Carvers Estate agents over the last 8 months and have always found them easy to deal with and flexible with viewing times. Emma Chamberlain has shown me around most of the properties and I have always found Emma to be friendly, proactive, professional and even suggests different layouts in the potential houses ( watch out Sarah Beaney). I am in the process of buying a 3rd property for rental from Carvers and would highly recommend to anyone for selling their house or buying a property. Thanks for all your help. Gilly 24.11.14"
"I'd like to say thank you to everyone at Carvers for the excellent service they have given me in the last few weeks, both Emma Chamberlain and Louis Potter have been extremely helpful and great to deal with. I would be happy to recommend Carvers to any potential customer. 24.11.14"
"Everyone at Carvers has been amazing! Especially Emma Chamberlain, who has been phenomenal! As a first time buyer, they have helped me with understanding and setting up mortgages, helping me what to look for in properties, and most of all listening and producing properties that I would be interested in! They are helping me every step of the way, and also answering any questions we have thrown at them, big or small! I am truly honored to have a wonderful team help me! Thank you so much! 21.11.14"
"Been dealing with various estate agents over the last few months but I can honestly say that Carvers have been great. In particular Emma Chamberlain has been brilliant, she has shown us round several properties, she is very knowledgeable about the properties and nothing is too much trouble for her. She takes time to get to know you and find out what your requirements are. Following up by emailing anything that she thinks you may be interested in. Would definitely recommend Nick & Gordon Carver for the service we have received. 21.11.14"
"We are searching for a property that is just right for us. A tight budget and a lot expected. Emma Chamberlain has been attentive and very helpful. I really think she has an understanding of what I am looking for in a home for the future. I find she can imagine how a property can fit her client really well. When I have an offer on my own home in Teesside I will be contacting her for her advice before any other agent. Thank you. 21.11.14"
"Very pleased with the experience. Realistic valuation following sound advice. Courteous staff who keep you informed at all stages without prompting. Will certainly use this agency again if and when the opportunity arises. 21.11.14"
"Writing a testimonial is not something I normally do, but Carvers is an exception, because they are exceptional! My first visit by Sonia gave me great confidence in the services they could supply. She is such a genuine and knowledgeable person with a great sense of warmth and understanding of my requirements. After discussing some reservations I had, she immediately acted on the points to a resounding success. I was assigned named member of the team as a point of contact during the whole sale & purchase process, which is soon to be completed. Contact with them has been easy and instilled confidence during the sale/buying process. All of the staff I have come in contact with at the office have been extremely knowledgeable, approachable and most of all genuine. I cannot recommend the team at Carvers enough, do not hesitate in contacting them and using their services. So thank you: Sonia (Buddha advisor!) Sue, Rachel, Nicola and all the team Kindest Regards and very best wishes Dorothy 20.11.14"
"We have received an efficient and professional service from Nick and Gordon Carver Residential Estate Agent. Both when selling our property and recently as prospective buyers. Emma Chamberlain who accompanied us on recent viewings was punctual, knowledgeable and friendly. 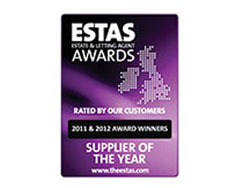 We have no hesitation on recommending both Emma and Carver Residential to potential customers. Jean and Alistair Russell 20 November 2014 "
"Having received several valuations on our property we decided to provide Carvers with the opportunity to sell our home due to the professionalism displayed and the competitive fees. The first time I visited the Northallerton office I knew we'd made the right decision. The staff were lovely and clearly enthusiastic about selling our property. We had an offer within 48 hours of release but the purchasers changed their mind about a week later. Thank heavens for Faye Priestley who was wonderful. She kept our spirits up and filled us with confidence that a new offer would follow soon after. Within a few weeks we had a better offer and the sale is progressing well. All the staff have been wonderful but Faye has been extra special and we are so thankful we chose Carvers for her in particular. She is a massive credit to the company. I would have no hesitation recommending Carvers to friends and family! 19.11.14"
"To Val Thank you so much for your help and kindness; which I appreciated very much! I am still living with Lavinia & Andy as there is a lot of work being done, my bathroom etc. Moving in next Friday all being well. All good wishes, June. 18.11.14"
"I'd like to thank Adam for his excellent service at our recent mortgage advice meeting. I attended with my daughter and her boyfriend. Adam's explanations of what can be a very complex subject were pitched at the perfect level so it was easy to understand. My daughter and boyfriend now have a mortgage approved in principal and able to make offers. Adam provided confidence in Carver's professionalism and we look forward to the next steps in the process. 17.11.14"
"Thank you to all at Carvers for making the sale stress free. We received excellent advice and hence a speedy sale. I would certainly recommend that someone thinking about selling their house should use your services as you have a very efficient team. 31 October 2011"
"Dear Louis Thank you for arranging all these viewings for me - I must say you must be the most attentive (listening to my requirements and acting on them promptly) and organised agent I have come across in all my searching. However I am sorry whilst they were all very good properties I will not be proceeding further with my inquiries on any of them. This is not because any were not acceptable but I have decided to move my search to outside Darlington. Many thanks for your assistance on my search. Regards Caroline Sene October 2014 "
"Dear Angie & Trish – thank you to you both for all your help with buying 1 Welbury Court, I love it, absolutely love it and feel very lucky indeed to have found it. Once I am a bit more organised you must come round for bubbles. Best Wishes Carol." "Thank you so much for all of your help to sell our house. Val, you were just brilliant!" "To the wonderful staff of Carver’s Estate Agents, I would certainly recommend you to everyone, you’re the best." "Just a quick note to thank you for all the help and advice when buying our new home... Every person we have spoken to has been so knowledgeable and genuine it has really made the whole process easy and enjoyable... Thank you for making the purchase of our first home so special." "To Trish, Angie & James – Thank you for all your help with our (protracted) move. You have always been incredibly kind, reassuring, professional and helpful. You made a difficult experience so much better. Thank you." "You have been such a support at this stressful time; you will never know how much that has meant to me. My heartfelt thanks and very best wishes." "I just wanted to say thank you for your professionalism in handling my purchase of 56 Washington Avenue. Your efficiency and customer service was excellent. A credit to Carvers." Can't find the property that you are looking for?